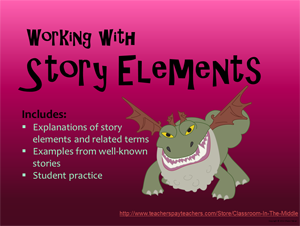 It’s great for students to read stories, discuss stories, and write about stories, but to get the most out of the books they read, students also need to spend time learning about individual story elements. 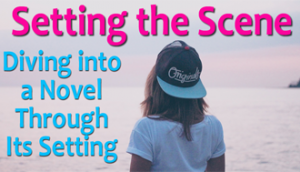 Knowing more about characterization, for example, can help students relate to the characters they read about and get into the stories. 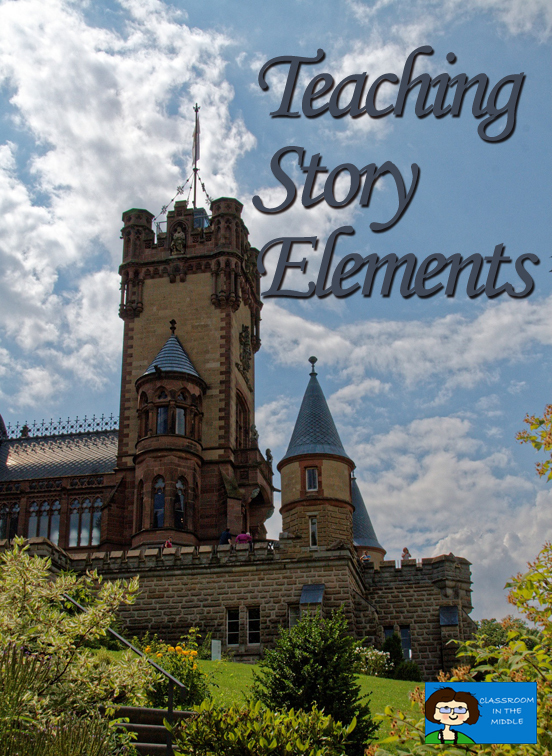 At the beginning of the year, many teachers offer an overview of the main story elements. 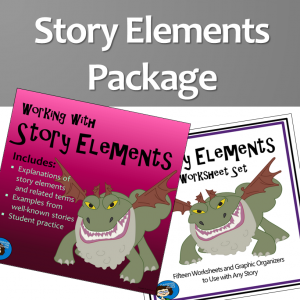 This Story Elements slide presentation introduces and expands on the basic story elements of character and characterization, setting, plot, conflict and resolution, and theme. The PowerPoint explains each concept in a clear and easily understandable way. 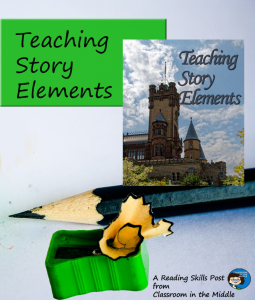 The examples relate the story elements to well-known literature, and students are invited to think of the story elements in stories that they have read as well. Student activities are included as well as a review of all of the story elements at the end. 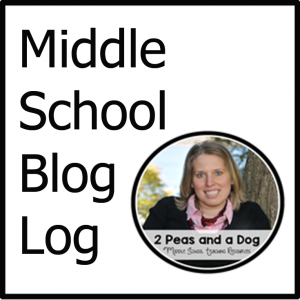 Check out a preview of either resource by clicking on the link. 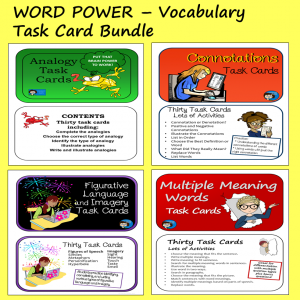 Both are available in Classroom in the Middle’s TPT store either individually or as a package. 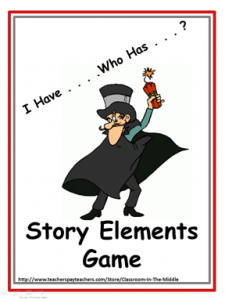 To practice or review story elements, a quick game might be just the ticket. One option is this I Have . . .Who Has . . ? Game. It includes 28 game cards, plus four blank cards so that you can customize the game to suit your classes. 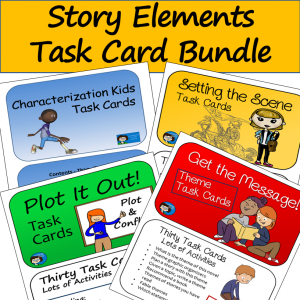 When your kids are ready to go more in depth, task cards are a great way to go to advance their skills with particular story elements one at a time. 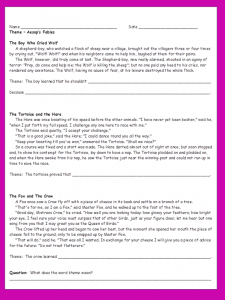 I’ve now completed the four sets I had planned – one for characterization, one for setting, one for plot and conflict, and one for theme. 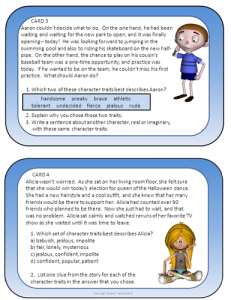 Here you can see a few samples from Characterization Kids Task Cards, the first set I did. 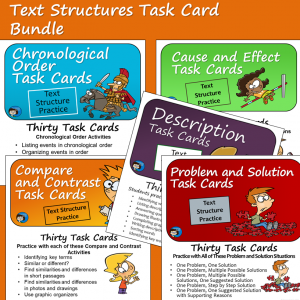 Reading skills is a main focus of Classroom in the Middle, and you can see lots more resources for teaching specific skills and story elements in the store. Download the preview of any that look good to you to take a closer look.